Shenzhen, August 17, 2017– Huntkey is a leading global power solution’s provider. Its main products include power supplies, chargers, home appliances and smart power strips. 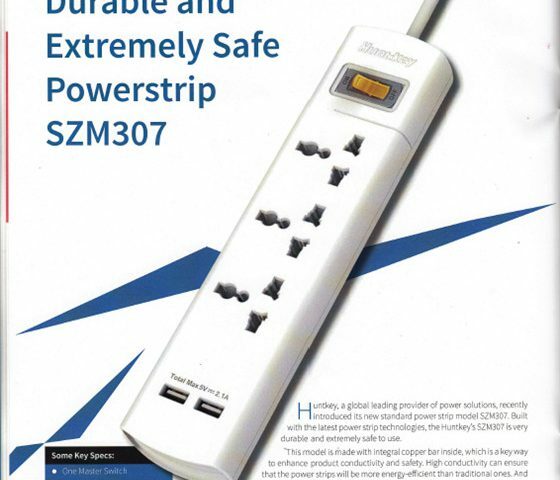 Recently the new universal power strip SZM307 received a review from NCN, a famous media company in the IT industry in India. The SZM307 is equipped with three universal sockets and two USB charging ports. 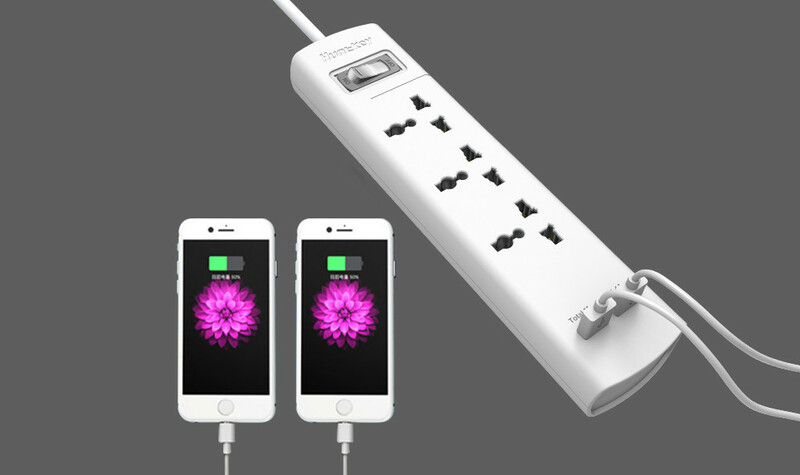 The universal sockets allows different standards of plugs to be plugged in, and the 2.1A USB ports can charge two iPhones simultaneously at the same speed of the original charger. 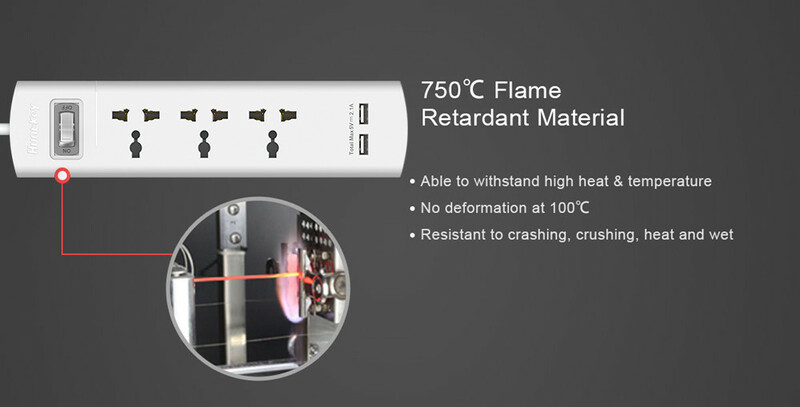 The panel of the SZM307 is made from the material that boasts high insulation, favorable impact resistance, and 750 degrees Celsius flame retardancy – this means the panel will not catch fire under 750 degrees Celsius. The internal structure shows us the quality of the SZM307 more intuitively. 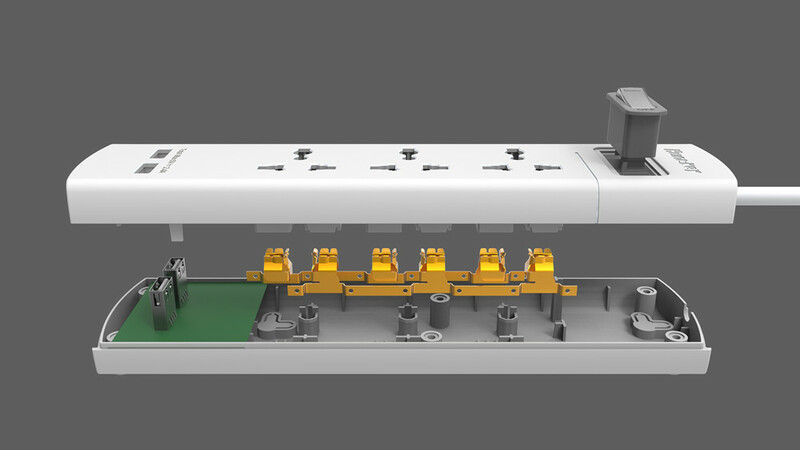 Without being welded, the integral copper bar can completely eliminate security problems caused by empty solder and leakage solder, thereby improving the safety and durability of the power strip, and it can reduce “heat up” leading to lower energy costs. Some brands are still using welded copper wire of poor quality inside the power strip, leaving some hidden dangers in daily electricity application. Huntkey Enterprise Group, founded in 1995 and headquartered in Shenzhen, is a member of The International Power Supply Manufacturer’s Association (PSMA) and a member of The China Power Supply Society (CPSS). 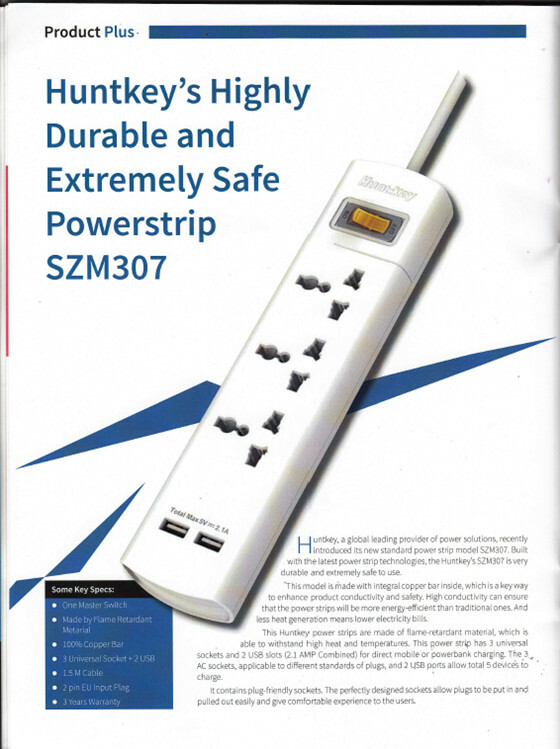 With branch companies in the USA, Japan and other areas, and cooperating factories in Brazil, Argentina, India and other countries, Huntkey has specialized in the development, design, and manufacturing of PC power supplies, industrial power supplies, surge protectors, adapters and chargers for many years. With its own technologies and manufacturing strength, Huntkey has served Lenovo, Huawei, Haier, DELL, ZTE, Bestbuy and many other large enterprises for years, and has received unanimous recognition and trust from many of its customers.